I have great news! You and I were created for more than mundane motions. This is not as good as it gets. If your life is great, God has greater in store. If you are asking, Is this as good as it gets? God has greater in store. He is the God of immeasurably more giving, and His children are designed for immeasurably more living. How do I know? Because God has a history of immeasurably more. The world was filled with sin in need of a Savior. Jesus said, “For God so loved the world that he gave his one and only Son, that whoever believes in him shall not perish but have eternal life. (John3:16 NIV).” Later He said, “My Father! If this cup cannot go away until I drink it, Your will be done. (Matthew 26:42).” Jesus obeyed. “With a loud cry, Jesus breathed his last (Mark 15:37).” Immeasurably More. What awaits us is life with the God of immeasurably more. Paul speaks of this immeasurably more God in his letter to the Ephesians. “Now to him who is able to do immeasurably more than all we ask or imagine” (Eph. 3:20). The phrase immeasurably more comes from a compound Greek adverb: hyperekperissou (hoo-per-ek-pe-rees-soo’). If we break this word down to look at its roots, hyper (hoop-er’) means “for the sake of, more and beyond.”1 Perissos (per-is-sos’) means “exceeding some number, measure, rank or need,” and (my favorite part of the definition) “over and above, more than is necessary.” Some Bible translators express the phrase as “superabundantly more.” God is able to do superabundantly more than we ask or imagine. See, our God is the God of immeasurably more giving, and His children are designed for immeasurably more living. Immeasurably more living isn’t found at the top of the career ladder, in a new house, or new car. It’s not found in a larger bank account, a slimmer waistline, or stylish new outfit. 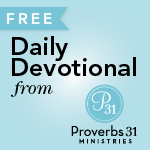 The immeasurably life found at the intersection of God’s Word and our obedience to it. My friend, God’s waiting to meet with you. He longs to intersect your hurts with His mercy, fill your emptiness with His love, and wash away your guilt with His grace. With God, life gets better and better. Your immeasurably more life awaits. 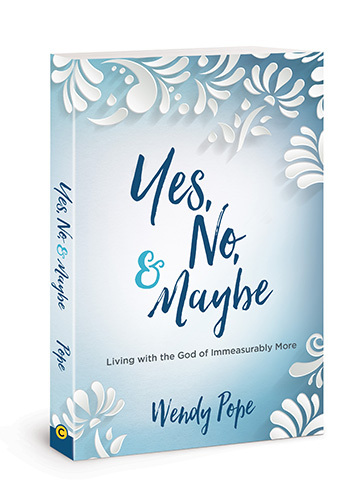 Click here to pre-order your copy of Yes, No and Maybe Living With the God of Immeasurably More. Leave a comment on today’s post, sharing an experience you’ve had with the God of immeasurably more. A name will be selected to win a YNM Bundle: An autographed copy of YNM, a pop socket, and bracelet. What’s a pop socket? What does the YNM bracelet look like? We are glad you asked. This link will take you the YMN Product Line. I’m struggling to pick just one time when God did immeasurably more than I could have imagined. I think I’ll tell you about the time with my favorite result: my son. You see, when I was just 32 weeks pregnant with him, my first child, my waters suddenly and inexplicably broke, and just as suddenly, I could no longer feel this long-awaited, already child kicking his usual samba in my stomach. As my husband drove us to the hospital, I remember the only prayer I could get out was, “God, save my baby.” Over and over again. Our journey was not easy, but against all odds, our son was born healthy (and loud) two weeks later, on Easter morning. We had just a week’s stay in the NICU, and then brought home a sweet little five-pound bundle of perfectly healthy baby. He turned eight in April, and his innocent, complete faith in God, his unique sense of humor, and his love of tanks and fighter jets and helicopters are a constant source of delight for us. And the healthy, on-time birth of his sister two years later was another giant helping of that immeasurably more that God chose to bless us with. Phew, that turned out long! Thanks for reading! I now recognize that God gave me an edge the other morning. After reading your devotional for today I realize that. There was a homeless man asleep on a bench outside the restaurant where my daughter and granddaughter and I had breakfast. I had some leftover bacon potato and a sweet roll that I was taking home for the next morning. And I said to my daughter I wonder if he is hungry? And she gave me kind of a negative answer so I walked on took my leftovers home and put them in the refrigerator and thought no more of them until today. I guess I should have listened to my God heart. Now I will try to be more aware of my surroundings. Thank you so much for this, your sister in Christ, Marsha. God does do immeasurably more! I’ve experienced it but it can be easy to forget when troubles come. Thank you for this reminder! I need God right now to do immeasurably more in my life! To get that I know I have to be obedient in his Word. Thank you for your study today. See I was needing an answer to a project that I felt God was calling me to do. The project was to make my son’s birth mother a family quilt which would include pictures of his family. The thing that makes this hard, is that there has been little communication between his mother & I. She put a picture of all of them & then stated, “ I love my family”. God said to me, “ Make her a quilt “. I don’t know how it will be accepted but I know now I am to continue. See I have not made this type of quilt before. Your verses really talked to me. Thanks again. In my personal crisis, God guided me to a new church home. I cannot even imagine how I would be processing all of this without them. I am a preschool teacher through and through. About a year ago God called me to start a Ladies Bible study at my church. I hesitated (softly put), but through different confirmations, I decided to do it. This past year I and many of the other ladies have been “super abundantly more” blessed than I ever thought I could be. God has met many needs, and brought the ladies together more then ever. Thank you for reminding me of God’s blessings. God has been so much immeasurably more to me by just being there and available all throughout his day. At work, I have witness the holy spirit work when the just wasn’t any way to get through the day; but God showed differently! God has definitely been my helper, my coach, and wisdom giver in those situations. I’m so blessed that I chose to trust God to navigate this life of mine and give him all the glory, honor, and praise. God definitely gives you the desires of your heart if you just Wait and See! I stayed faithful to God by reading his word and praising him and focusing on serving others and just this week he has blessed me with a promotion! As I look back, I can see so many things and questions that were not answered to me; however, I have become a better person, a better church member, and a better worshiper in the process and I have those answers now as to why I went through that. I’m so grateful to God for his unconditional love! During this season of my life I have been unemployed since November 2017 and I have had to trust in the Lord in a much deeper way. He has shown up in my life in so many small and big ways and has done exceedingly more than I could have imagined! I am still trusting in HIM to do sooooo much more and I know He will in due time! It would be such a blessing to receive this bundle of love and I cannot wait for your book to come out! Congratulations and all glory be to God!! God gave us immeasurably more with our children! I never thought I would want a large family but God in His infinite grace and wisdom gave us 3 beautiful children, along with my desire for 3 more. Only by His grace, mercy and timing will that be fulfilled, and He will provide for the path He has chosen us to walk. Thank you for the chance to win! I am moved today by this word!! I work in the nursing field and am spending the day with a beautiful 88 year old woman that believes full hearted in yhe word!! We have been sharing stories about our faith and love for others.. it is a tremendous experience today to be able to help her thru her trails!! She has reminded me often that my daily work is miraculous and heartfelt!!! My heart is full today!! I need and want to experience so much more of God in my life. He is growing me in many ways. I am in awe of how He has worked and what He has done in my life. I like the phrase you used “Memory Bank of Faith”. I often don’t look back or to my “Memory Bank” in the face of conflicts and struggles. It just now occurred to me to place a little bank on my counter where I will see it often and be reminded of God’s faithfulness. I may even make notes of specific instances and keep them in it. 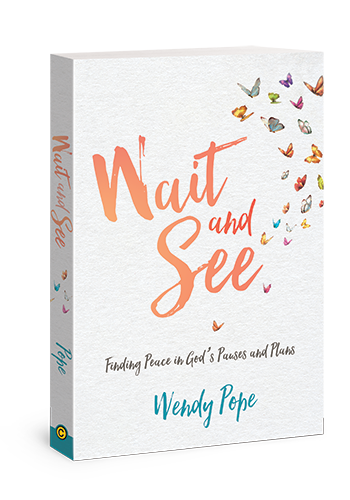 Thank you for your posts and devotionals and for the chance to win your book! My oldest daughter is recently engaged. I have prayed since the womb for her to have a devoted relationship with God and that someday, she’d fall in love with a man that shared her faith abundantly. Though it’s been a long hard road, her fiancé is an answer of a godly man immeasurably more than I could have imagined. No relationship is perfect in this life but knowing God is in the center makes it all good! Thank you for your newest book! Excited to read! God has done immeasurably more in my life often. I need to remember them in times of trouble. Thanks for this reminder. I subscribe to Proverbs 31 devotions. My daughter and I were talking just yesterday about what this devotion says. How appropriate this is today’s devotion. God is great! I have a home-based embroidery business. I make and and sell items that are about breast cancer & ovarian cancer. I donate my profits to research. I was in a McDonald’s one day and had just paid for my order. There was a woman with two children next to me. She was paying for her order and realized she didn’t have enough money. She told the clerk to save her food. She was going to find an ATM machine and would be back. I turned to the clerk and gave her money and told her I would pay for there order. The mother was so grateful! She kept saying bless you over and over. I told her that is what God wanted me to do. The two clerks were young kids and were amazed. One ask me why I would do that. I told him we should do what God ask us to do. We should think of others and help those we can. I hope and I believe he took what I did and payed it forward to someone else because that is what Jesus would do. GOD IS AWESOME!!! The reading was a blessing that reminded me it’s not at all about me. Even though I tell God I got it. Lol! God has never given up on me. I am recovering from a 35 year addiction to alcohol and bulimia. Throughout my addictions I would hear the Holy Spirit say “Surrender.” I felt his presence but felt unworthy of anything good. My life was lonely, empty and full of self hate. I wanted to die. But God would not go away. After 35 years I finally let God in. I have been sober for 18 months, attend church and bible study regularly. I still have a long way to go, but God is right there with me. I would love to win the Bundle Package to expand my knowledge of God and keep my mind busy. Miracles do happen. Bless you all! 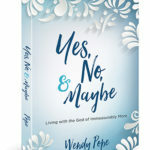 Wendy earlier this morning as I came a cross your blog while keying in the same thing I do everyday “Jesus calling and whatever the days date is” I search usually one in particular, where a “kids” version is also included. I forward hem to my girls one a senior in college the other in Grad school. But today was VERY different from a typical September Monday morning for me. I had stayed up until 2:40 writing detailed lesson plans for a sub to cover my class. In twenty-one years of working in education I’ve only missed 6 days. After just a couple hours of sleep I woke up at normal time read my normal devotion and dozed back to sleep frazzled from lack of sleep because I was having to stay home today from work. I slept a little longer as I awoke I said “Lord talk to me” I got back on to read my devotional this time less sleepily, and scrolled to yours instead. I wasn’t going to read the post because it is longer than my usual one. But i peered over the covers and saw my oldest daughter…the one in Grad school was still sleeping so I didn’t have anything but time, so why not! As I got into your post and you mentioned the lady saying she like your scarf. I had a rushing overwhelming flooding of God speaking to me. Just last week I walked into a home decor store Marshall’s and I was just meandering around and I happened upon this great canvas I was so excited it was perfect for my classroom I could not have picked a more perfect colors I get up to the register and asked the cashier starts the bag my Canvas she said hmmmm “ Think positive be positive” Wow I need this” and just like you A little voice spoke to me that said but Lord it’s perfect for my classroom but the flood was up to my eyeballs by then and I simply finished the transaction she hands me the receipt she lays it in my hand I pull the canvas out of the bag and simply say then you need to have it her mouth hit the floor she said what really I said absolutely I can’t argue with God. I could hear her saying oh my Gracious as I was walking out the door and shoot I think I was at big lots not Marshall’s . Just hours after her birth and the surgeon telling me our daughter would not make it through the day. Day in day out all I could do was rub her arms and feet because we couldn’t hold her and I would sing to her amazing grace because he lives and victory in Jesus . Now 23 years later As she laid in her daddy’s and my bed She was talking to the Lord the same way I used to talk to him as she laid in that tiny little bed. So I’m going to think positive and be positive. You guys that read this please pray she continues to seek God. College Distanced her heart. After reading today’s message about Immeasurably More, i realized that throughout this life journey i’m in this year with my LORD & SAVIOUR i have really only been asking HIM to get me thru this storm/circumstance/trail that i’m currently in. I’ve been asking HIM for to develop faith, trust, reliance, confidence in HIM but almost as if to just get by. I realize NOW that i’m asking HIM to do what i want but HE can do IMMEASUREABLY MORE THAN WHAT I WANT. I need to start asking HIM for FAITH, TRUST, RELIANCE AND CONFIDENCE THAT WILL BLOW ME AWAY TO DISBELIEF, TO PUT HIS POWER IN ME THAT WILL HAVE ME SOARING ON HIS WINGS. I would love to be the winner of this free book but either way i will still continue this journey with GOD until i am IMMEASURABLY MORE! I would definitely love to read the book. The last few months have been exhausting emotionally and physically, but I’d love to get re-inspired by how ”immeasurably more our God is” and no matter what, everything is under His control. I think in the chaos and demands of the daily things lately, I’ve forgotten about it. Just the other week I had to move cities for a job all by myself. It’s been amazing to see how God placed people on my way who were helpful with the move whether preparing for it and getting thru it (from physically helping me with heavy luggage to lifting my spirit and trying to get me excited about the next chapter of life while my mind has been focusing more on the unknowns and the difficulties. He even provided for me a nice place to live which came thru last minute while I was stressing that I do not have anywhere to live in the new city). I definitely need to grow deeper in trusting Him that He can do so immeasurably more than I can ask or imagine, and i should stop fretting in the meantime 🙂 . When I was in my early twenties, in my first job, renting my first apartment by myself, with college loan bills mounting up, I began to tithe. I didn’t know how I was going to pay my bills, but I was convicted to be obedient in this area. Soon after I was faithful with tithing, I received a market adjustment raise at work. Later, I received a promotion with another raise. God has always provided immeasurably more when I am obedient. God does immeasurable more in everything from the small things like waking me to a new day with no aches or pains and calms my nerves when needed too but is there when in the past, I wondered how I would make ends meet. He gave me the knowledge and capable to do it. We need to take time to be with God to see these miracles. I’m currently going through a very difficult season. The depression is hard and the hits keep coming. However, God is good. He gives me just what I need for each day. I know He is with me and everything will work out according to his will. So thankful that He does immeasurably more than we can ever ask or imagine. This gives me hope! I walked away from going to church for several years after a tragic event in my life. I was mad at God! Also going to church made me get in touch with myself and I didn’t want to …. couldn’t ….. handle the feelings. I cried every time I went to church. But now the Lord has brought me back with a fervent passion. I can’t get enough of him. He is bringing me closer to him than I have ever been.